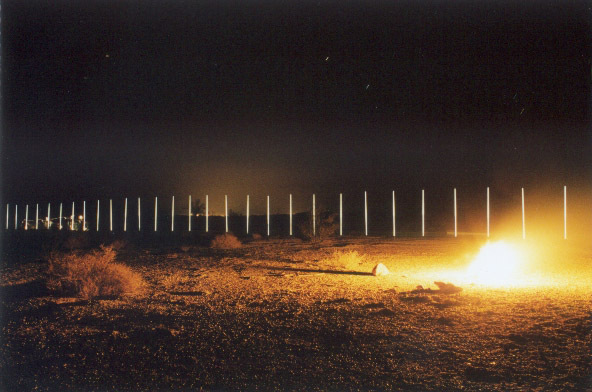 The Electric Fields of California is a series of installations that deal with health and environmental concerns surrounding electrical transmission and bring a new perspective to the western landscape. 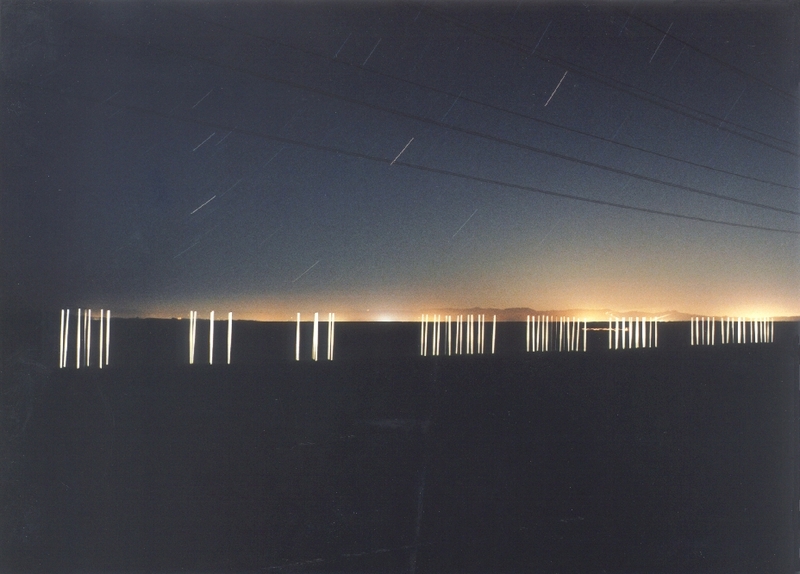 The piece consists of a series of outdoor light sculptures, using ambient electrical fields beneath electrical power lines to illuminate fluorescent light bulbs. 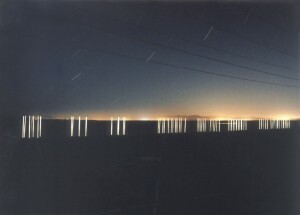 Overhead power lines often generate an electrical field strong enough to excite the plasma in fluorescent light bulbs at ground level without the need for electrical connections. We have created four florescent installations stretching across the state of California from the US/Mexico border to San Francisco. The installations are temporary, although we are looking for a site on which we can install a permanent light piece. We feel that this piece has the unique potential to effect public opinion and policy by graphically illustrating the power of these ambient Electromagnetic fields. Many scientists believe that there is a correlation between long-term exposure to strong magnetic fields and incidences of leukemia. As essentially electrical beings, it seems likely that the disruptions caused by poorly insulated electrical conduit can manifest physical effects on humans and animals exposed to these Electromagnetic fields on a regular basis. Energy issues in California have led many to call for massive expansion of energy production, but it should be understood that electrical transmission carries with it certain environmental effects. Site # 1 Cathedral Gate, Chevron Pipeline Company, Kettleman City, CA. Site # 2 Esplanade to a Higher Power, San Antonio Vineyards, Ontario, CA. Site # 4 Encryption, Sears Point Farming Co., Tubbs Island, Sonoma, CA. This project is partially funded by grants from Gunk Foundation, New York, and the Potrero Nuevo Fund, San Francisco. 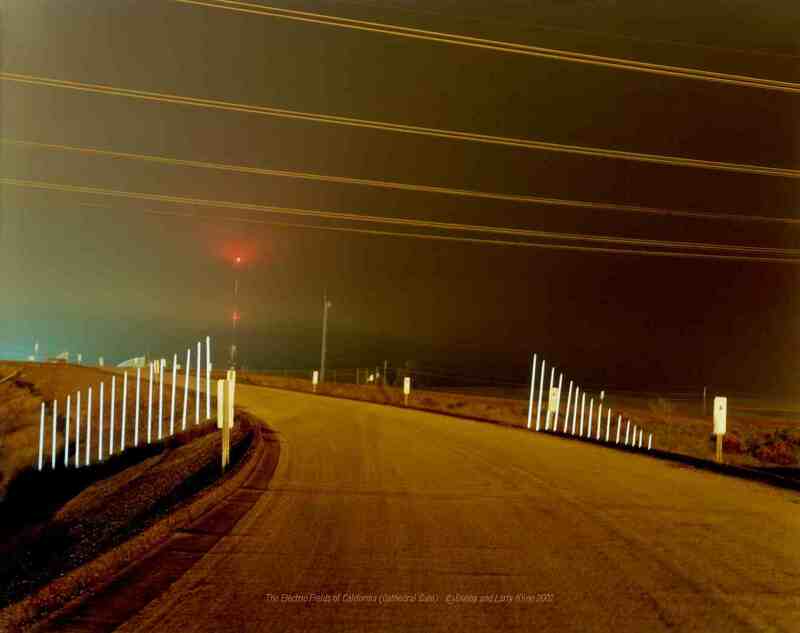 February 10, 2011 | Filed under Projects and Works.